Almost every business wants to increase its customer base with minimal marketing costs. E-mail marketing proves to be one of the cheapest and easiest ways to gain more customers by sending them emails on a regular basis. However, it requires you to be smart and use certain techniques to make your campaign successful. These days, almost everyone uses Facebook, Instagram, and Twitter etc. However, such platforms are known to be the noisy places on the internet so it is difficult for businesses and customers to make a calm contact. This is why, even in the modern era, emails are used widely and almost by all businesses. It is very important for entrepreneurs to use email marketing as it helps you keep your customers updated by sending them emails regularly. It is very important to fully understand the process and to use the right tools otherwise you might be wasting your time. To make sure you attract more people to your business, you should post the email subscription forms wherever you think your customers are most active whether it is Facebook or any other website. Do not make the subscription form long and complicated as this might scare most of the online traffic. Make sure the subscription form is short and easy to complete. So to help you run a successful email marketing campaign, here are a few tips that you must take in to consideration. Tell people what and how often you would send them via email. It is very important for you to give complete information about what kind of content you would share with the subscribers. If you wish to share updates, official letters, discount offers and promotional deals, online sales or whatever, it is your duty to tell them about your content on the sign-up form so they subscribe accordingly. Welcome emails. 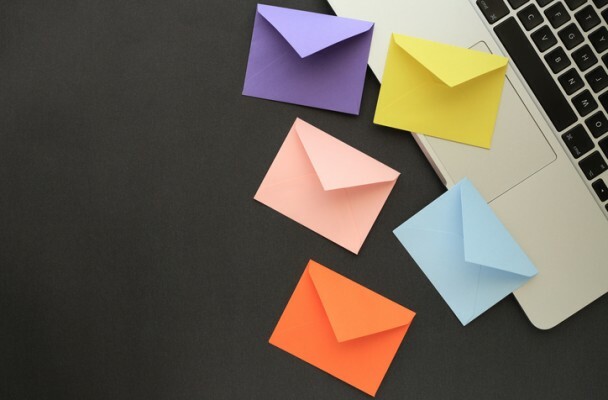 Once a customer subscribes to your newsletter, a welcome email should be sent to him or her telling how they can get to know more about your company and its offers and deals. Also, send special and exclusive offers to new subscribers if possible as it would help make them loyal to your company. Greet the subscribers in very creative and thanking way. Customize your newsletter. You should set a standard logo and content to use in every email you send to the subscribers. Make sure the logo and taglines fit your business. This also helps the readers create a professional image of your company and find your email easy to recognize. Readable content. As we receive many emails daily, it is impossible for us to read each mail. Some people ignore most of the emails they receive and leave them unread. You have to customize your content in such a way that readers can easily read it and find it interesting. An engaging content would require you to make it short and use the most relevant subheadings and titles. If your emails consist of long texts and no proper paragraphs, you might lose most of the online traffic. Make sure the “subject” of each email is very eye-catching and short like “Make $1000 in just one day” or “Big blogs make Millions”. People are more likely to open those emails with such subjects. Your content should not go off-track no matter what. It is very important for your content to be relevant. Allow people to select the type of content they want. If your company’s email marketing campaign sends different emails to different groups, ask the subscribers which ones they wish to join. This works in a way that each group receives different type of content, which is relevant to the people in a particular group. This can also be used when your company has discounts to offer for a day or two only. If that is the case, separate emails should be sent to the people who are near your company’s outlet. Giving customers a list of groups to choose from is much better and effective than simply assigning them to one of your own choice. Be consistent. To keep your customers engaged and loyal to your newsletter, you will have to very consistent with your work. It is one of the most important rules that no long breaks should be taken as this makes customers lose interest in your newsletters. Make sure you take some time to prepare your content and a schedule to follow. If you fail to do so, chances are that people might even mark your emails as spam. Be very regular and updated with your email marketing campaign. Hire Professional Writers and Editors. To make your content amazing and interesting to read, you would have to make sure you get it edited by a professional. As once the emails are sent, they go directly to the subscribers’ inbox and cannot be edited then so before sending out any email, make sure your content is strictly checked and well edited. Do not give the readers a chance to identify the mistakes in your emails. Proper grammar should be used while using a decent style. Test your Emails. As there are many different email clients, it is possible that your email is shown differently to people using different mobiles or clients. Before starting your campaign, use testing tools or send emails to your team members to check if everything falls in its place or not. This helps you to target all the customers as they receive your emails perfectly with no glitches. Make sure your emails are mobile friendly. As seen in many cases, most emails do not show up clearly on mobile phones and most people use their mobile phones to check their email. Therefore, it is better for you to check if your emails are shown perfectly on mobile phones with each picture being displayed perfectly. If it does not work, use different formats to make sure your emails are mobile friendly.